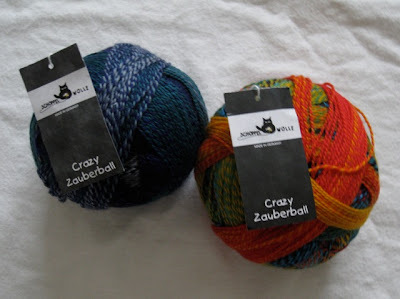 The Crazy Zauberball yarn begged me to begin knitting a pair of socks. I didn't know what to expect, but so far it hasn't disappointed. The leg is knit with 64 stitches and 60 stitches after the gusset decrease. 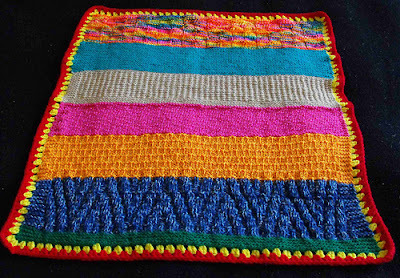 Knit on size 2 needles. 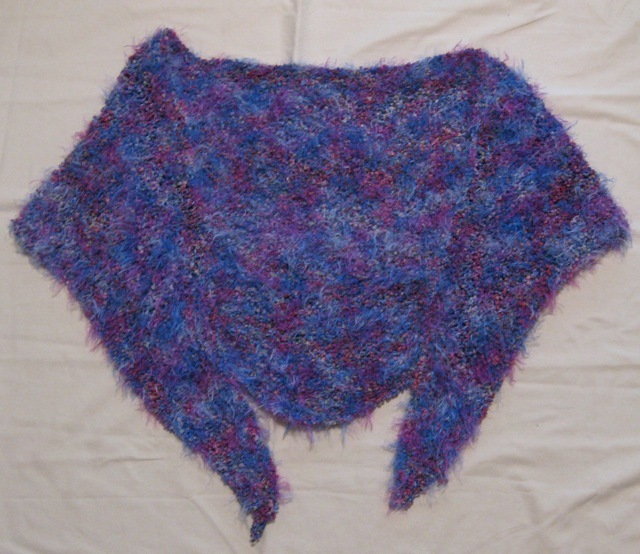 Sunday's wet and snowy weather was perfect for wrapping up in this shawl, sipping a cup of tea, and watching a good movie. 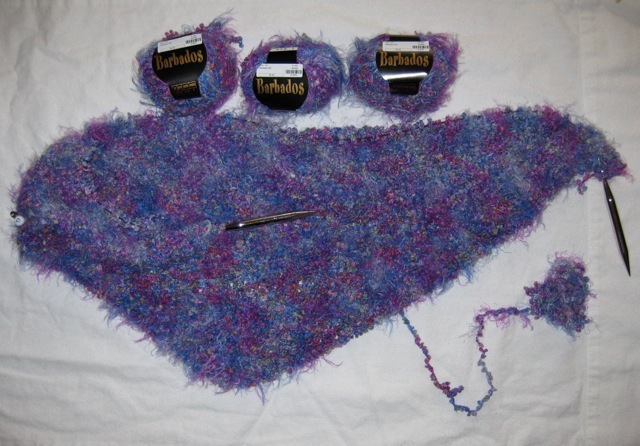 The shawl was finished early last week and made its debut at Tuesday night knitting group. Oh yeah, it is happening. 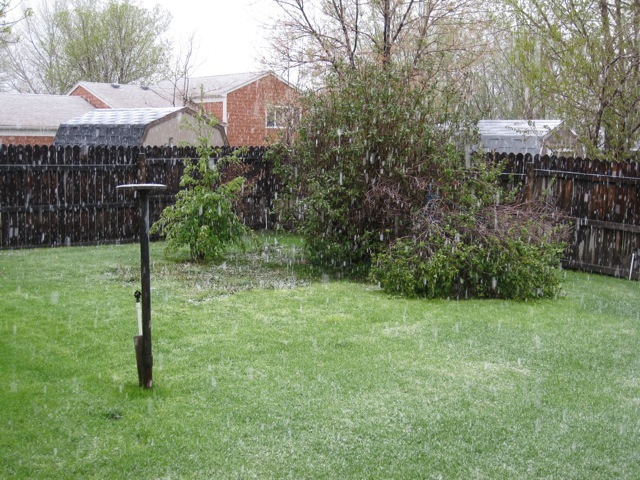 The white stuff may not accumulate anywhere but the grassy areas, but it really is snowing right now - huge flakes that are melting on impact. The witch is out (probably for the day) and the kids are safe inside. 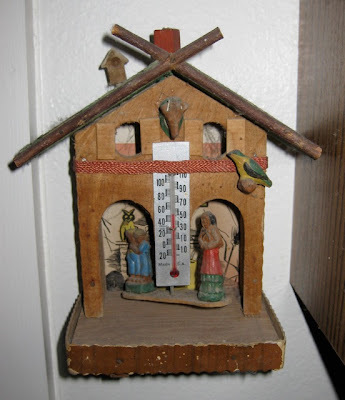 I hope your day is warmer and drier than mine. 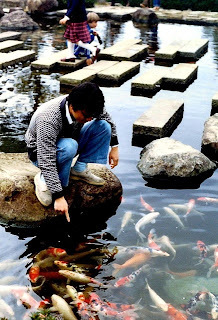 It's fun to find inspiration for quilt blocks in unlikely places. 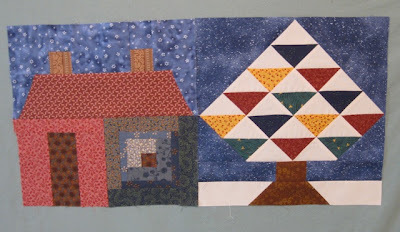 For a quilt top, the blocks would probably need sashing to set them apart a bit and allow each block to shine. What are your thoughts? Chances are when Jackson, WY is mentioned four thoughts come to mind: Grand Teton National Park, downhill skiing, National Elk Refuge, and the antler arches on the Town Square corners. 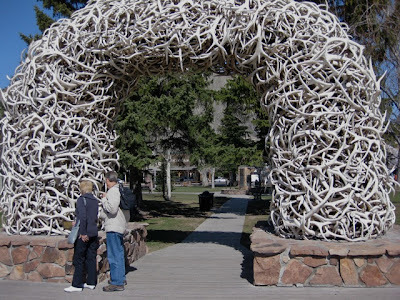 The four arches have been visible in the Town Square since 1960 and are made from elk antlers. Every year over 5,000 elk winter in the National Elk Refuge northeast of Jackson. 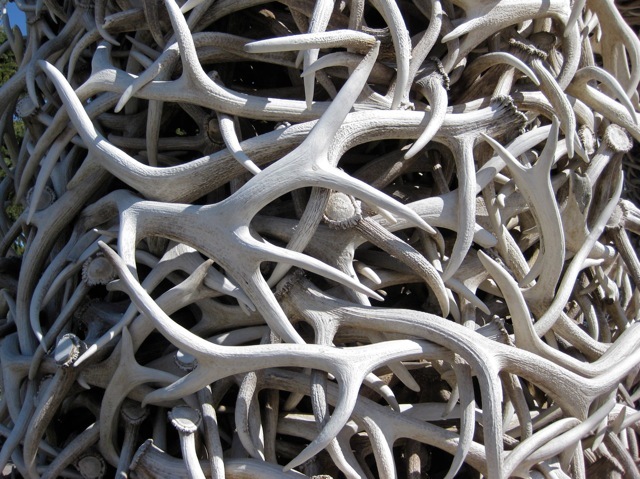 The bulls shed their antlers each Spring, and the discarded horns are then gathered by the local Boy Scouts to be sold at public auction in the Square each May with 80% of the proceeds returned to the refuge for feed, research, and management. 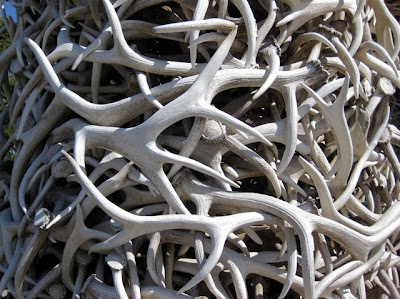 Ten to eleven thousand pounds of antlers are sold annually. 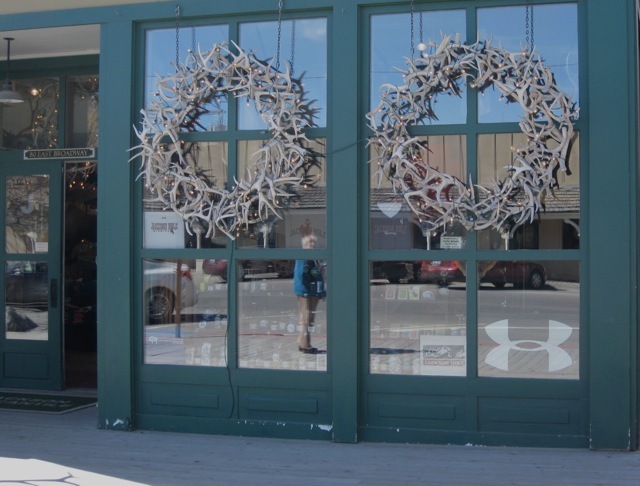 Artists use the antlers to create chandeliers and other works of art like these large wreaths hanging on a store front in Jackson. All four of the Jackson Town Square arches were built by the Rotary Club. The arches were replaced in the last decade with the antlers from the old structures sold at auction. 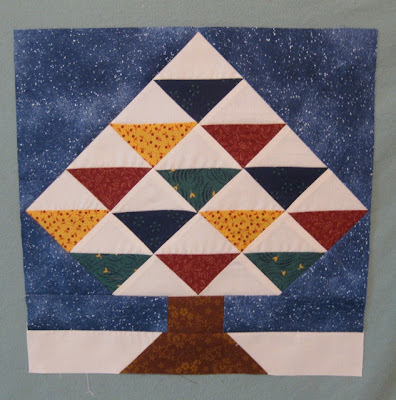 The Block of the Month is now focusing on seasonal trees of which the first is Mary's Winter Tree. 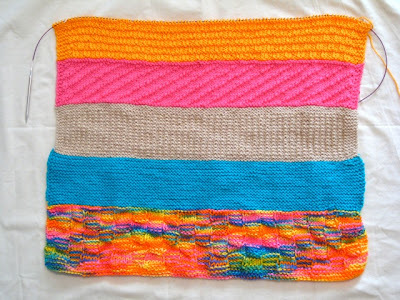 Doesn't this West Coast Oddball Baby Blanket make you want to grab your sunglasses and head for the beach? Beach Party is 101 stitches wide and knit on size 9 needles. I used Caron Simply Soft (Mango) and the Purled Ladder stitch, which is reversible, for my four-inch section. The P-3 were frequently seen landing and taking off, but they were not as noisy as the F-4s. The P-3 planes and crews rotated in and out of Misawa AFB, too. 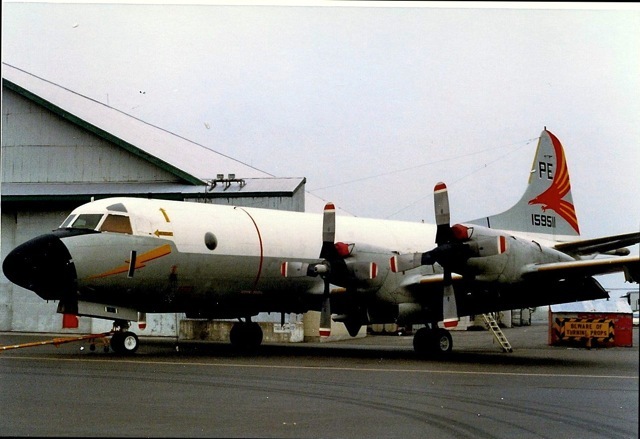 Their mission was surveillance. "Big Red's" tails were gorgeous, and we lovingly called them "Red Tails in the Sunset." 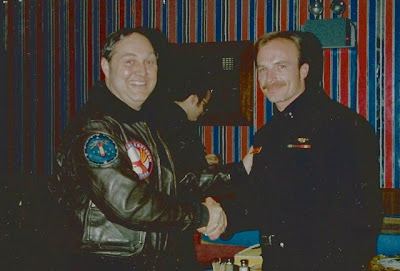 Steve, one of the P-3 crew members (shown on the right) became a good friend with several of the teachers, and we were invited to his celebrate his promotion to LT-JG. To commemorate the occasion for Steve, I enlarged, crewel-embroidered, and framed the "Big Red" emblem. 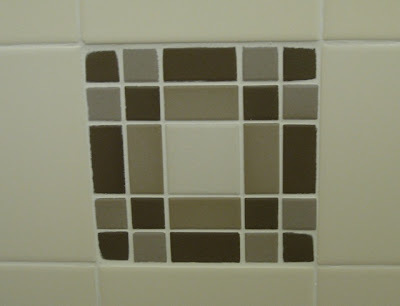 I can't find a photo of the finished project anywhere, so I must have neglected to take one. 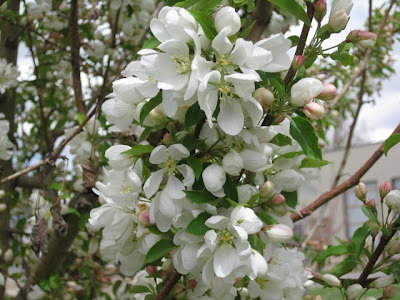 Since the weatherman is predicting snow and cold temperatures in the days ahead, the crab apple blooms will not last long, and sadly, many of the buds will probably not have a chance to even open. 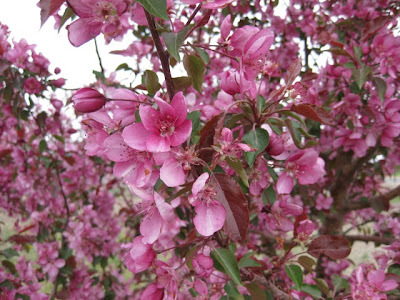 Yesterday under overcast skies, the trees proclaimed that Spring has arrived with an elaborate show of blooms and buds. Today, the wind is howling and heavy rains are falling, but hopefully, they will not turn to snow. The Hopa crab apple can be found in many residential areas because the Riverton City Council urged citizens to plant the trees many years ago. When conditions are perfect, these trees are gorgeous. 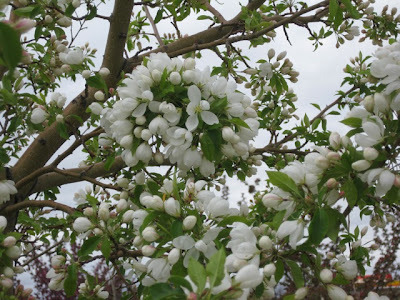 This could be the year if the predicted snow doesn't fall. Ironically, this delicate white beauty is named Spring Snow. 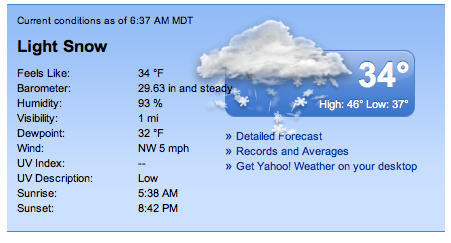 I hope that this is the only white stuff that is visible this week. Even the plum trees are covered with tiny blooms. 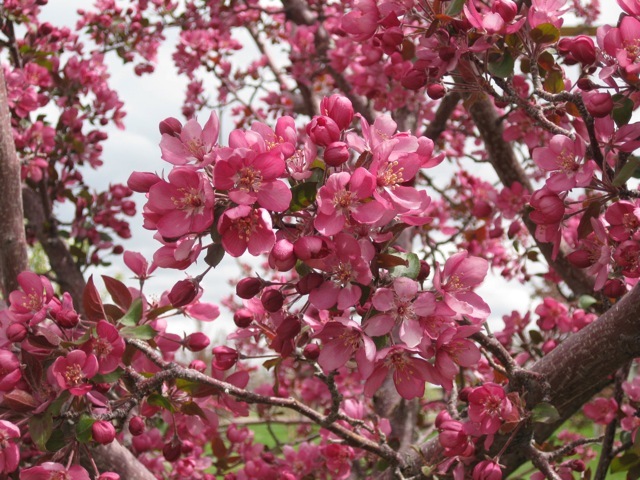 After a long, long Winter, it is wonderful to see these beautiful signs of Spring. With a bit of luck, the blooms will last longer than a couple of days. Sheri and Cheryl visited me after my surgery, and like true knitting buddies, they presented me with some luscious novelty yarn. 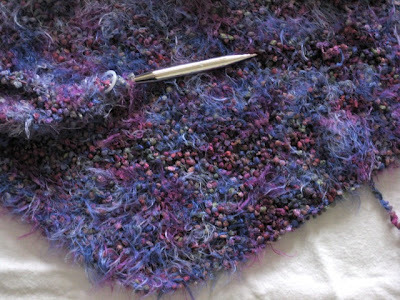 I am making a shawl using a pattern that Cheryl shared with the knitting group a few weeks earlier. The shawl is growing, and once my hands become accustomed to the size 17 needles, it will progress faster. 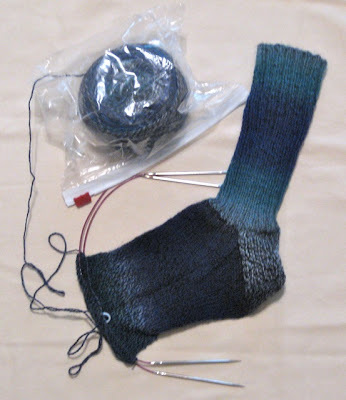 After knitting almost exclusively with a size 2 needles, the 17s feel like clubs. Thank you, Sheri and Cheryl for providing the perfect therapy: friendship and fiber. You are the greatest! 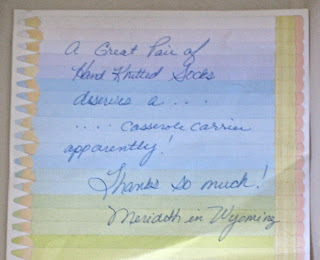 I received the nicest surprise in the mail on Thursday from Merideth in Wyoming. 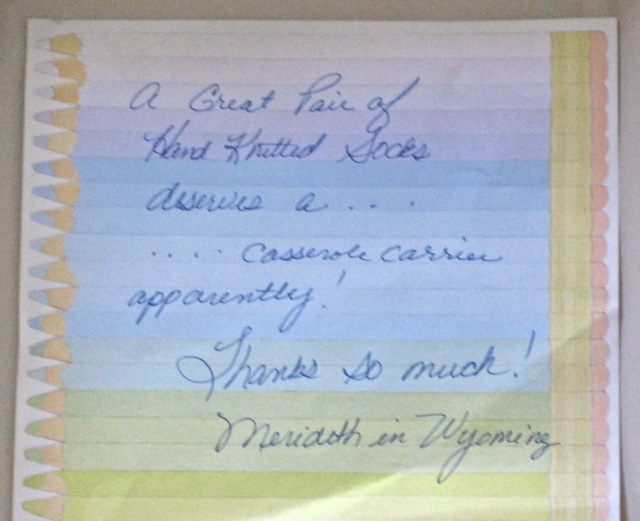 She was a "If the Sock Fits" winner and felt compelled to send something in return. My pottery cake pan fits perfectly in the casserole carrier she made. 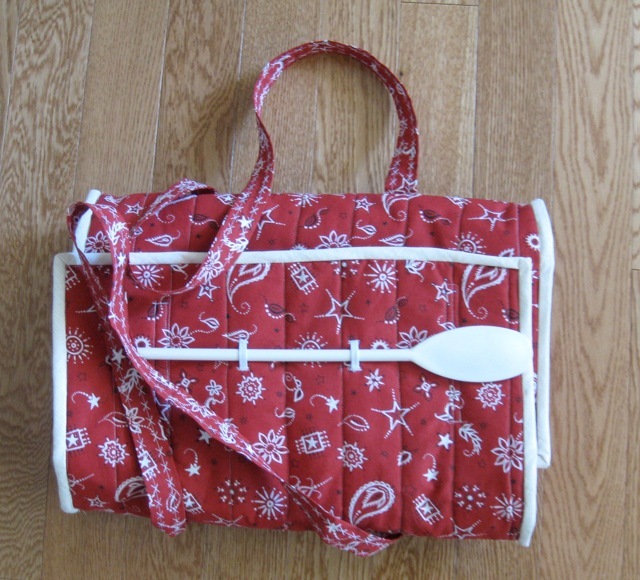 Notice Merideth added loops to attach a serving spoon, too. 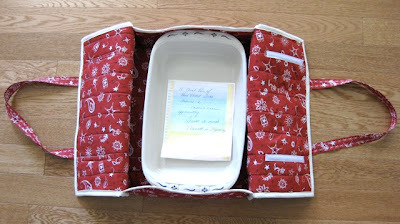 If you want to make a casserole carrier of your own, follow these directions on Merideth's blog. It was great fun to receive this surprise in the mail. 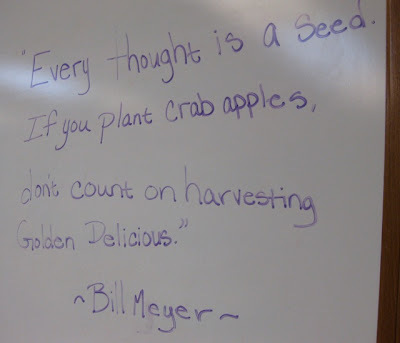 Thanks, Merideth. 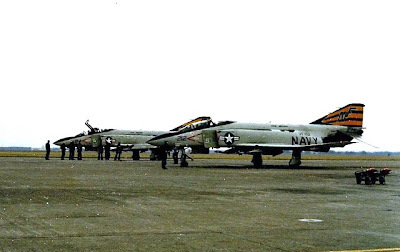 The flight-line at Misawa Air Force base was always busy, often with F-4 pilots practicing touch and go runs. 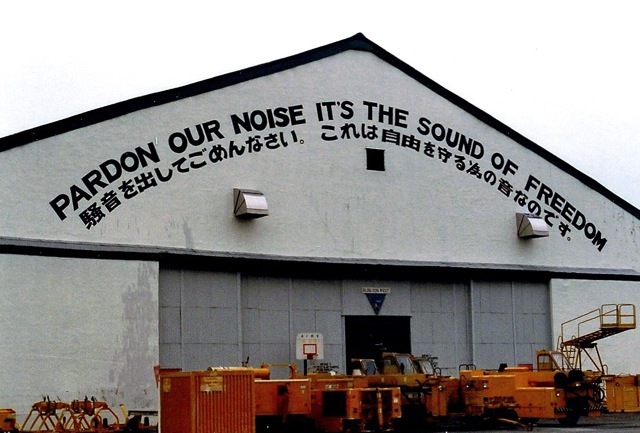 It was a busy and noisy place. 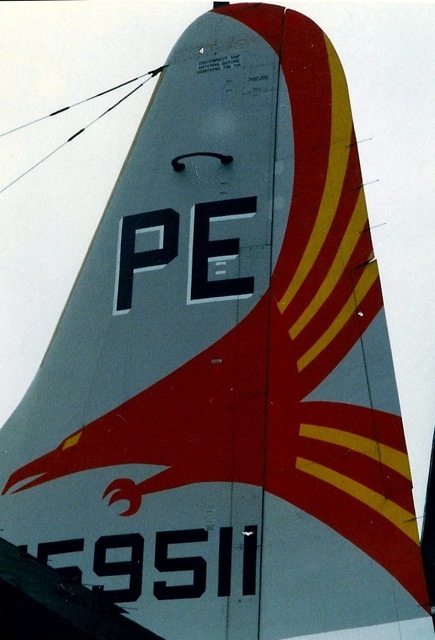 The end of this hanger reminded all who saw it that the noise was essential. I can't remember the specific squadron of the planes pictured above, but each squadron had a distinctive tail design. 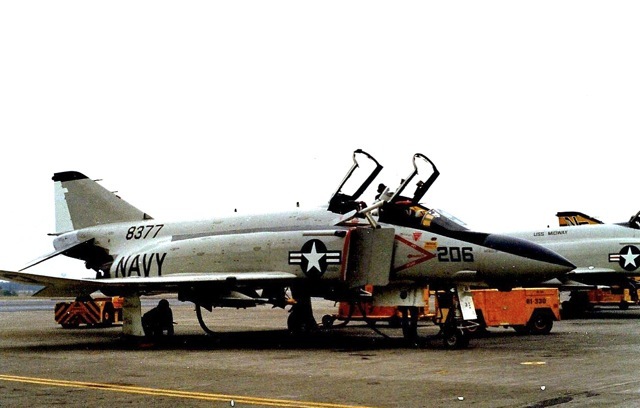 On the back of the photos, I did write that these planes were from the USS Midway. 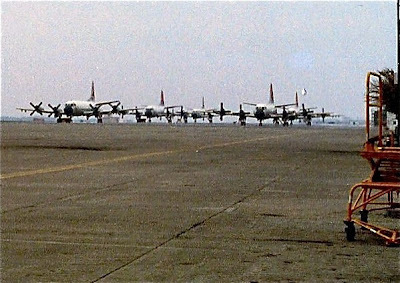 The squadrons rotated in and out of Misawa AFB frequently. The world has changed considerably since the late 70s. I doubt anyone other than authorized personnel would be allowed in this area to take random photos anymore; however, the sound of freedom is still heard thanks to the crews who are in the air and on the ground. 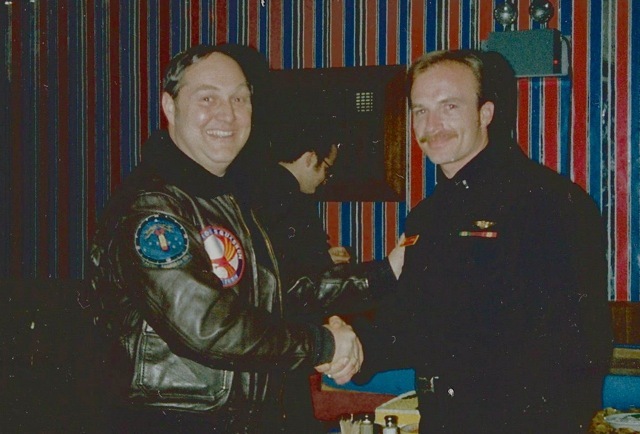 I am grateful for their service. My latest shopping frenzy started with a search for this crazy yarn. 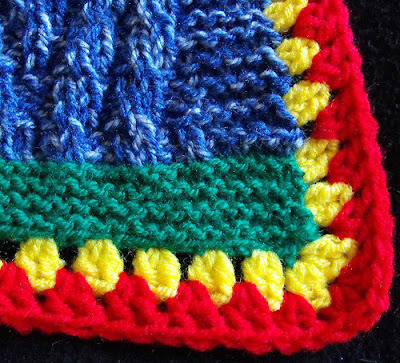 One of my knitting buddies knit a pair of socks using the colors on the right, and I loved the way they looked. 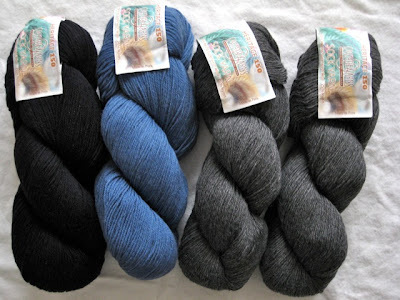 Since the local shop didn't have any more yarn in those colors, I searched online and found the yarn at Simply Socks and Webs. 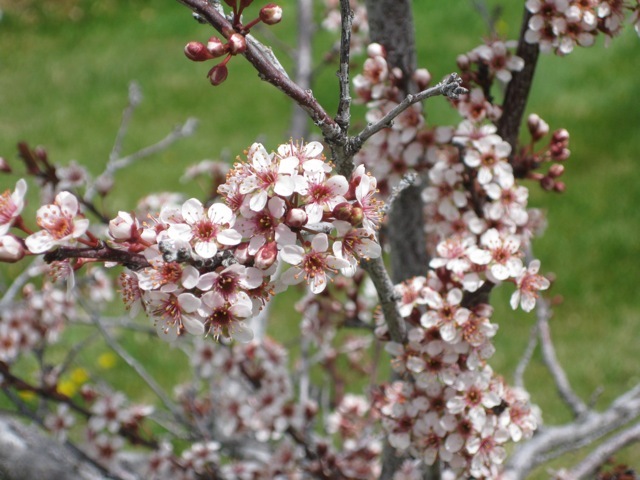 I've ordered from both businesses before and was satisfied with their prices and service. and these neutral colors. I plan to use these skeins for heels, toes, and for striping to use my scrap sock yarn. 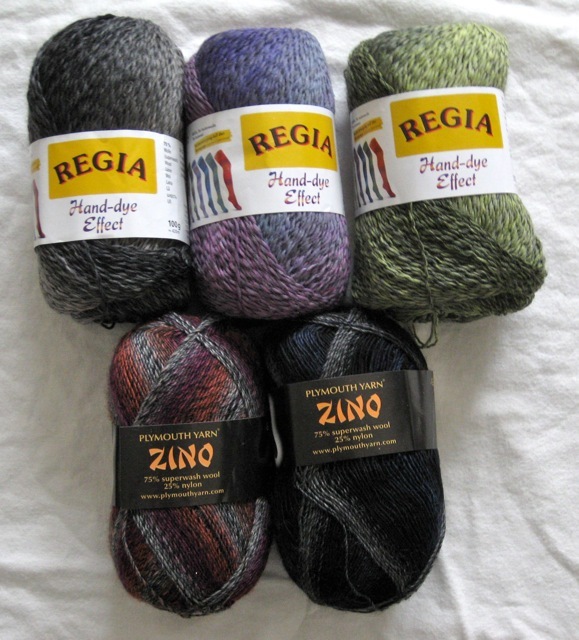 Yes, I know it's a bit crazy to purchase so much yarn, but I love to knit socks.